We’ve all heard various writers, agents, publishers and editors say “always hire a professional editor.” This is never more correlated than where self-publishing is concerned. So my question is this; are editors really necessary. Let’s assume that you are a writer of some skill. Let’s also assume you go through the many number of drafts and revisions to pick up and correct errors. You run grammarly over your piece and revise yet again, looking for all those pesky writing errors (passive voice, weak adverbs etc). Now you take up the services of your Beta readers, take on their feedback and revise yet again. 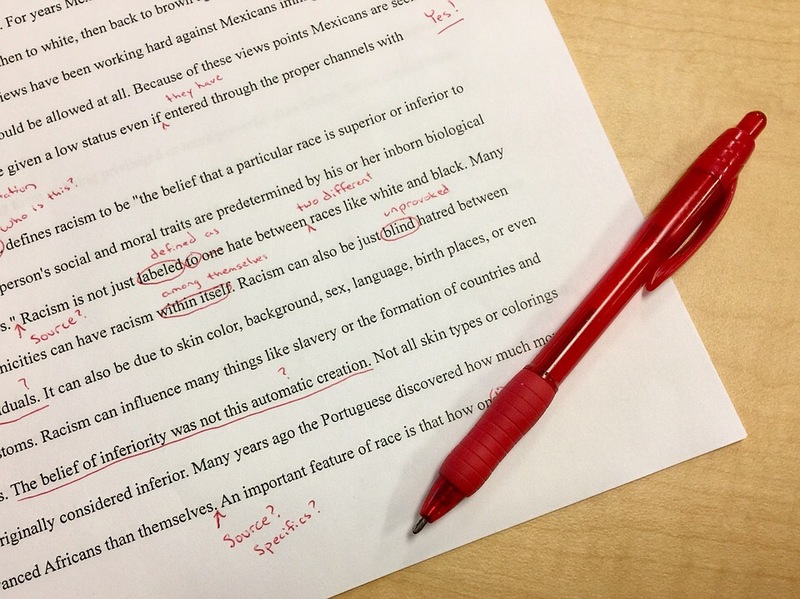 With all of that fine tuning, do you really need an editor? If you’re planning on selling the finished book (ebook) at a reasonable 3.99 a copy that’s a few hundred books you’ll need to sell just to break even. So, my question again, is this; are editors really necessary. Self published writers everywhere, I invite you to comment on your experiences. Did you hire a professional? Did you go solo? Did you regret your decision? Please, be honest and detailed in your feedback. Posted on June 14, 2017 June 14, 2017 by Jessica BakkersPosted in About Writing, NewsTagged Blog, blog writing, blogging, creative writing, Editing, fantasy writing, Guns of Perdition, WordPress, Writer, writers, Writing, writing advice, writing books. In a word: yes. Editors are necessary. Not just for spotting typos or common errors, but also for maintaining consistency, untangling tangled sentences, and pointing out issues that only a professional eye other than your own will see. I hired an editor for Letters to Josep, and I wasn’t very happy with her work; I had to go over it again with a fine-toothed comb to sort out her inconsistencies, and she was unaware of some really basic style issues (like which words to capitalize in headings). It was the one major investment I made (I did the cover art myself), and it was a real let-down. I just wrapped up my work with my editor at Kasva Press for my new book, and the difference was, as we say in Hebrew, Heaven and Earth. He was extremely thorough–pointing out some inconsistencies or potential plot holes no one had noticed. We sparred over comma placements, italics, and very fine points on phrasing. It was difficult and sometimes tedious, but fortunately he is also hilarious and we had a lot of fun. I am very happy with the result. Bottom line: if you want your book to be professional, hire an editor. Yes, it’s an investment, but IMO it’s worth it. Given my experience–get a personal recommendation from someone who has worked with the editor before and had a good experience. Thank you Daniella. That is very good and helpful feedback. Somewhat disconcerting that you can hire a ‘professional’ and have an experience like you did with your first editor. Good advice about finding someone who comes on a positive recommendation. I cannot afford the services of an editor, but luckily I’ve had years of training in spelling and grammar by being a medical secretary. I have used beta readers in the past, who have also been very helpful. What I’d like is somebody to help with the layout and formatting of a book though. What I see on the Kindle Previewer is not necessarily what my readers see, as far as I can tell. Frustrating! Formatting for Smashwords is a nightmare, but I don’t have too much trouble with Amazon and CreateSpace. However, what I see turns out to be not what some readers see, and I can’t work out why. Have you asked other folks who’ve self published? Not yet, as the potential cost of it all is putting me off. I use an online service called prowritingaid.com. It’s very good, and free up to 3000 words at a time. Many thanks Richard; for both the tip and the honesty. I really appreciate it. Going to checkout prowritingaid right now. I would always put editing and the cover design out to professionals. They earn their money and, for the 3 proof reads they do, it’s worth the fee. Thanks so much Caroline. I guess there’s a reason why they exist in the first place eh? Like you, I wish it was a cheaper option or a step I didn’t need. I have two editors, a developmental editor and a line/copy editor. My books wouldn’t be the same without them. My developmental editor helps me with content/big-picture items that I might not have seen or that my betas might not have seen. She helps with pacing, characterization, and reorganization. Her input really helps my characters to shine, and a few times she’s helped me solve really big plot problems in a better way than I had originally thought. Often, I find with her, I have idea A, she has idea B and idea C which is a combination of our two ideas/comes from our discussions is what ends up working. I also have a line/copy editor. For me, this is what really makes the book seem professional and truly helps it look polished. It’s amazing to see a draft that I thought was so good and was polished and shiny come back from line edits and see it truly become a solid piece. In my experience, editors are expensive, true, but you also get what you pay for, at least I have. There’s such a stigma with indie authors that we produce unedited work, so it’s important for me to prove that stigma wrong. At some point, you can’t be objective about your own work anymore, and you are going to start missing things, no matter how good you are. That’s where an editor really comes in handy. Thanks Aimee. Some very good advice and life experience examples here. It’s probably that content editing stuff I’m most worried about if I don’t have an editor. So easy for something to make sense in MY head because I know the background, future etc of the story. But it mightn’t make sense to the reader. Most of my books are traditionally published, but I have one novel and two novellas that are indie releases and I hired a professional editor each time. Yes, I think a professional is necessary. Even editors hire professional editors to review their work. I can’t stress that one enough. It is simply impossible (even with beta readers) to catch all the problematic issues in a manuscript. An editor doesn’t simply look for typos, grammar and punctuation problems but also reviews for content, plot holes, POV, and much more. I do realize it’s expensive, but I can’t imagine putting my work out to the world…work that I invested so much time in without it being professionally polished. As authors, we need to make the best impression we can the first time out the door. I can’t tell you how many indie releases I’ve read that had promise, but I struggled to finish or couldn’t finish due to poor editing and POV issues. Sadly, those authors don’t get another chance on my read list. It’s too mammoth as it is, so why would I devote time to a novel that has been poorly produced? I value my work and my reputation as an author (it’s my brand) too much to risk going solo. I know there are many editors cropping up online and not all are qualified, so it helps to get a good recommendation when you go in search of one. I only released my indie titles to Amazon so there was no cost of an ISBN. By only going with Amazon I was also able to take advantage of Kindle free days (though I’ve used that very sparingly). Many thanks Mae. I really appreciate your comments. Very good arguments for having an editor. Especially the ‘first chance is all you get to make that favourable impression’. That’s exactly the way I read. I give authors precisely one book and if I’m not happy, off they go. And there’s nothing quite as off-putting that dodgy editing. A good editor helps you grow as a writer. I’m lucky enough to have professional editors for most of my works. It can be argued that for short fiction, an editor is less essential – you’ll still need beta readers etc, but you can save on the editor. Some editing can be crowdsourced – get 200 beta readers and your text will be proofed, edited and tested. One or two betas are not enough to pull this trick. Thanks Dave. My manuscript will be around the 100k mark so there’s an awful lot of room for error! And no… I don’t think I could cajole 200 betas! Appreciate your voice here. I am an editor, and I’m the first to admit I can’t edit my own work. I like to think it’s cleaner when it goes to an editor than a writer’s without editing experience, but I just can’t see the problems in my writing. I’m too close to it. I think editors are necessary. Aww thanks! I already have this award but I tell you what, I’ll reblog your own award on my sit as thanks for the nomination! Good query Jess! And some good feedback of information to sock away! Thanks! That’s me Penny; asking the naff questions for all us newbies!